The Philips Pavilion was a World’s Fair pavilion designed for Expo ’58 in Brussels by the office of Le Corbusier. Commissioned by Philips, an electronics company based in the Netherlands, the pavilion was designed to house a multimedia spectacle that celebrated postwar technological progress. 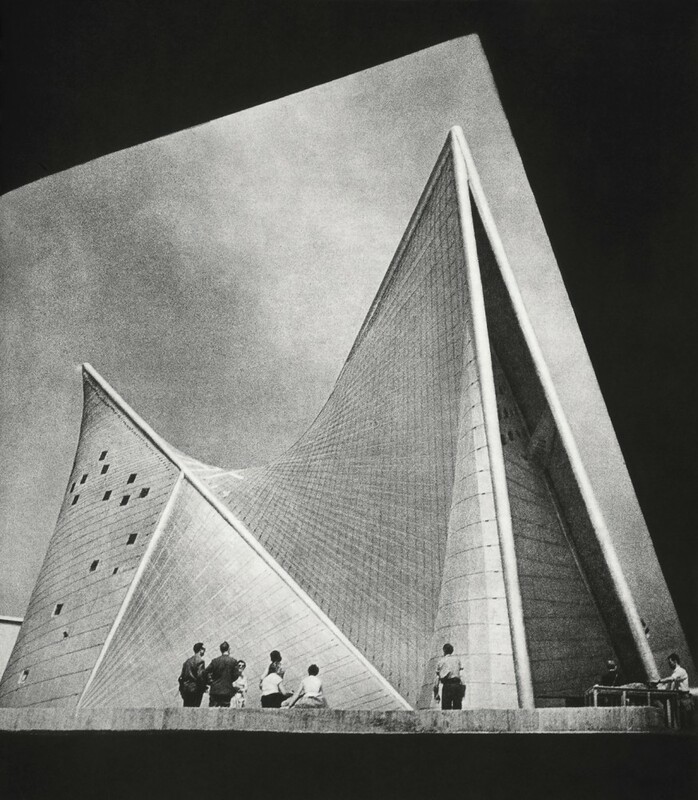 Because Corbusier was busy with the planning of Chandigarh, much of the project management was assigned to Iannis Xenakis, who was also an experimental composer and was influenced in the design by his composition Metastaseis. 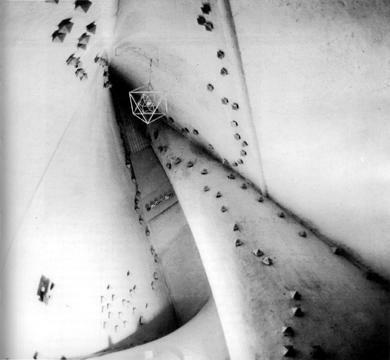 The pavilion is a cluster of nine hyperbolic paraboloids in which music, Edgar Varèse‘s Poème électronique, was spatialized by sound projectionists using telephone dials. The speakers were set into the walls, which were coated in asbestos, creating a textured look to the walls. Varèse drew up a detailed spatialization scheme for the entire piece which made great use of the physical layout of the pavilion, especially the height of it. The asbestos hardened the walls which created a cavernous acoustic. 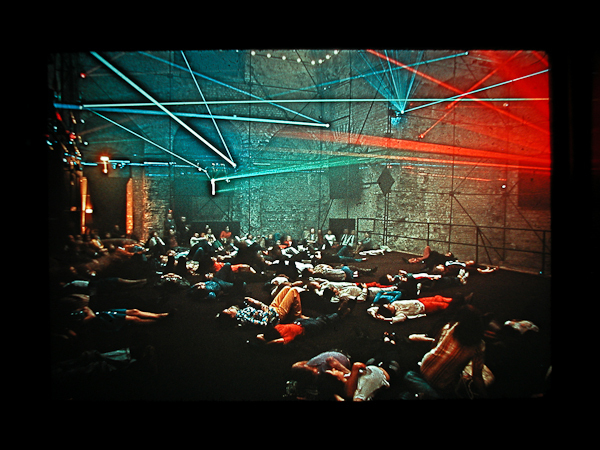 As audiences entered and exited the building Xenakis’s musique concrète composition Concret PH was heard. 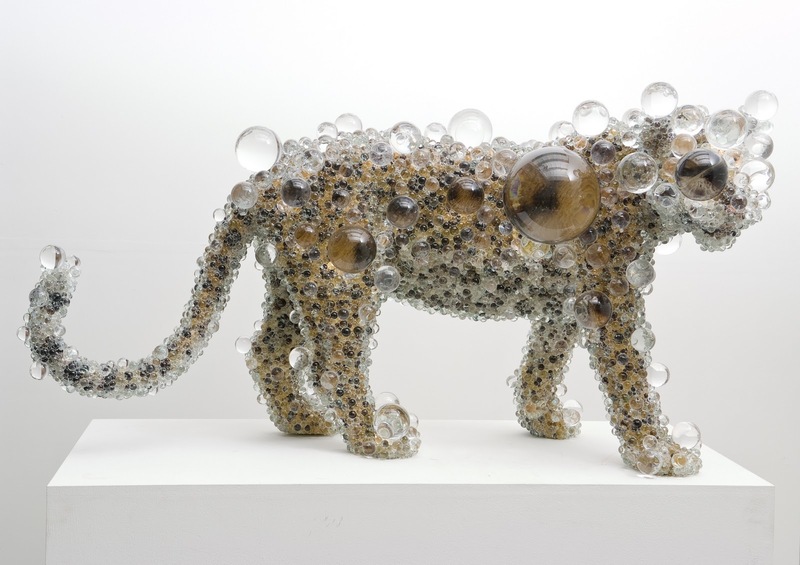 “I will not make a pavilion for you but an Electronic Poem and a vessel containing the poem; light, colour image, rhythm and sound joined together in an organic synthesis”. 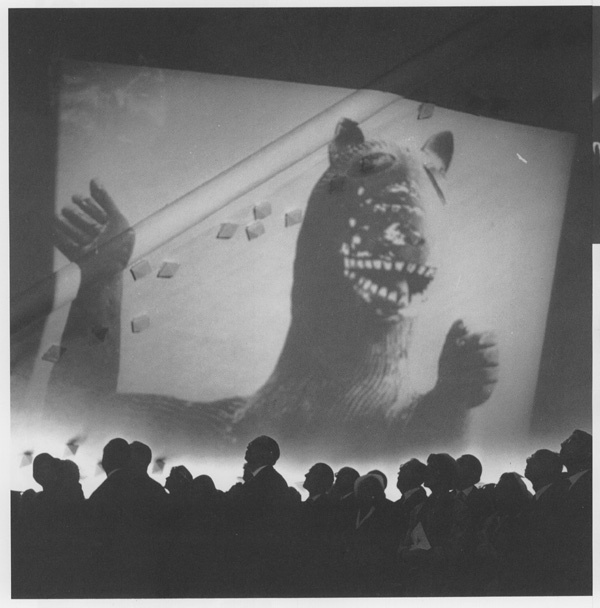 Le Corbusier’s vision was a Poème électronique (“electronic poem”), saying he wanted d to present a ‘poem in a bottle. He asked Edgard Varèse to write an electronic score for the installation, which went on to become one of the seminal works in the genre. Iannis Xenakis also composed a piece for the installation, which was played as an interlude when the audience entered and exited the pavilion. Titled Concrèt PH, Xenakis’ composition is a series of manipulations of a recording of burning charcoal.